The HIGHLEAD GC0618-1-SC is a single needle walking foot machine that offers exceptional value for its features. This model is specially designed for heavy weight fabrics and leather. 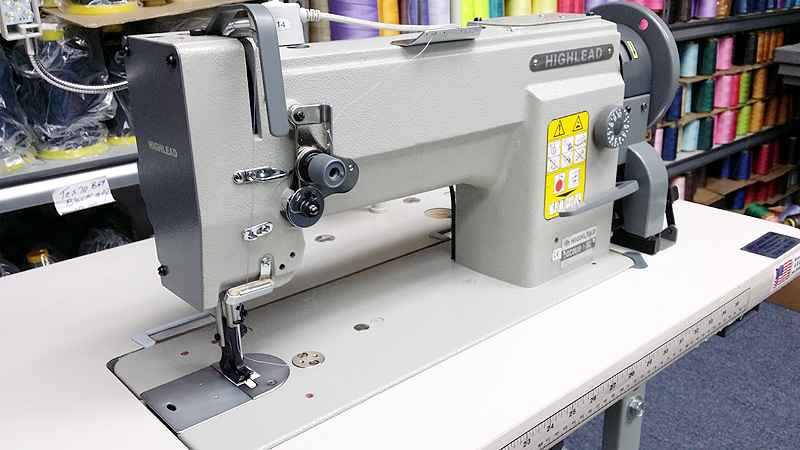 With its powerful feeding system, wider presser foot stroke, higher presser foot lift and longer stitch length, the sturdy structured machine can easily deal with heavy materials and thick sewing thread. It features quiet sewing and compound feeding by feed dog, needle and walking presser foot. It is the ideal machine for sewing leather bags, luggage cases, sofa cushions, boxing gloves, leather products, vinyl, etc. Hook: Large Rotary Hook & Bobbin case.